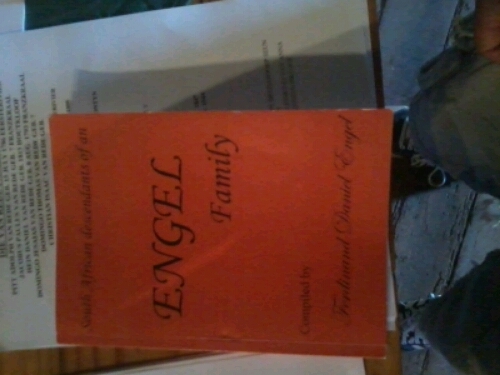 Die fees het die vrydag aand afgeskop met die Mej. Blommefees en Glamorous Granny, moenie vir my vra wie gewenit nie want by daai tyd was die fees al STERK aan die gang by my, al wat ek onthou is daar was ‘n midnight jol en toe die ligte aangaan was ek lights out. Die volgende oggend was daar ‘n MTB race en 10km pretdraf sorry maar “I had one to many drinks” to attend any of those jislaaik noudat ek hierdie berig skryf lykit my ek het klomp uitgemis. Nee wag wag ek onthou daar was optogte met die brigade en perekarre daar was ook ‘n steeks perd wat nie wou hardloop nie maar nah ‘n bietjie gesukkel het hy weer in rat gekom – that’s what I call Horsepower ;-). ‘n Dag vol pret en plesier vir almal tot die klien kinders kon oppie jumping castle’s and waterslides speel terwyl die groot mense hulle lywe skud saam met “Koekie”…of as hulle miskien ‘n stukkie koek wou geniet was die watermeul resturant oop vir tee daarby. 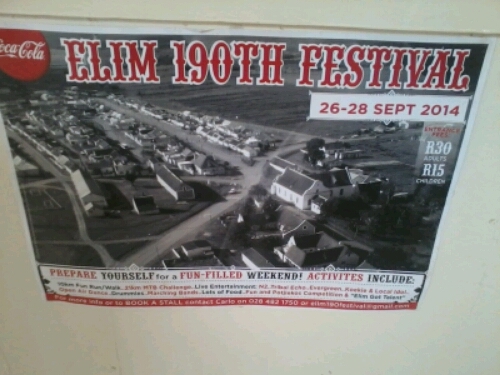 Die Elim Heritage Centre or Info Centre was open for you to view and take a trip down memory lane and I mean 190 years is worth alotta memories, I even found out some history on my family name which I would like to do some further research on. What is a birthday without cake, the sunday service was blessed as we sang happy birthday to Elim and everyone was treated to a piece of the 190 cake – the wind of change is definitely in motion but the tradition and heritage is still valued and upheld in our Little Dorpie called Elim. 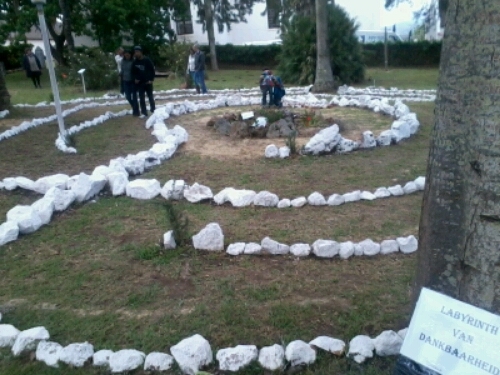 I think we have alot to be thankful for and I liked the fact that they had this Labyrinth of Gratitude which I hope will stay and that everyone who walked the path felt some form of inner peace and gratitude, I know I did. 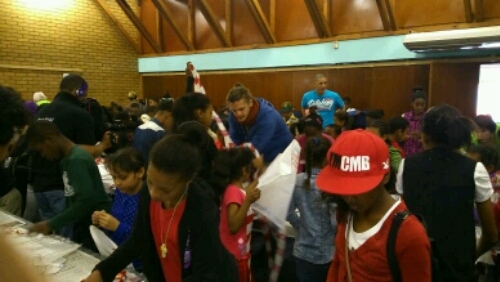 Thank you to the Fees Kommitee and all the beautiful people of Elim for the great Fees it was thoroughly enjoyed by all I’m sure. 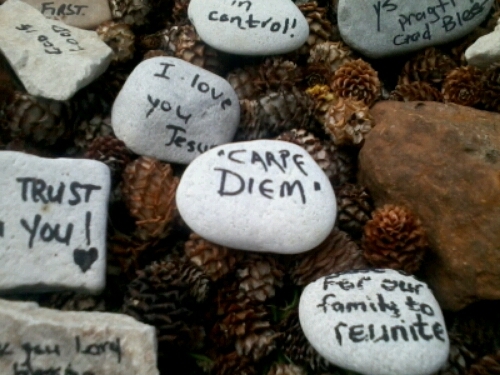 ‘Carpe Diem’ – Sieze The Day. This entry was posted in Uncategorized on September 28, 2014 by shaunjengel. 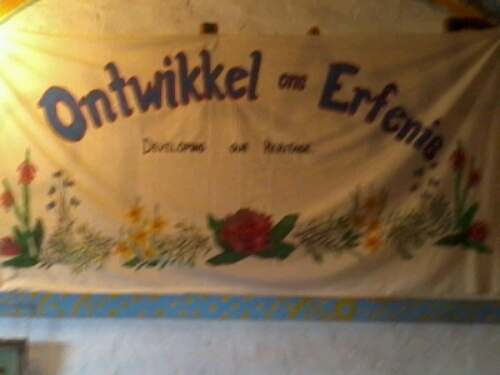 Erfenis Fees, 190ste Fees of Blommefees call it what you must al wat ek wiet is dat Elim is the place to be this weekend. 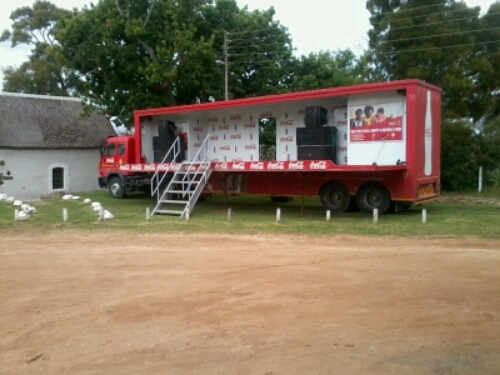 Die Coke trok is hier en gereed om die music te provide sodat julle, julle lywe ‘n leka tyd kan gee en moenie worry nie issie net Radio Sonder Grense wat gaan speelie daar is iets vir almal. From a 10km fun run and 21km MTB challenge for those feeling brave and fresh after the Friday nights Midnight bash and Mej. 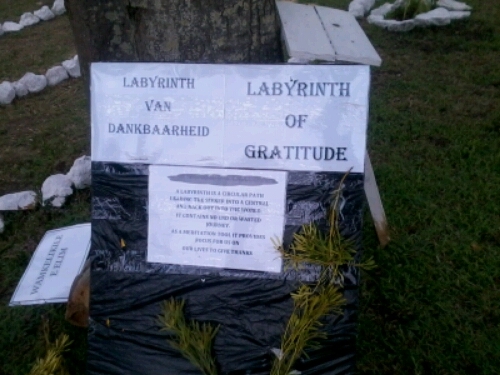 190 Blommefees kroning. Live entertainment will be provided all day with a variety of Acts forget SA Got Talent because we have our own local Elim’s Got Talent for you to enjoy, if thats not enough is daar Elim Idol en ‘Koekie’ waarmee julle soma leka kan saam sing. Ok ek gaan nou nie alles weg gee nie, hulle se stiekuit issie mein ding, Mnr sé sy leka spicy Potjie wag vir julle, ek wietie van julle affie maar my mond water nou al. This entry was posted in Uncategorized on September 26, 2014 by shaunjengel. Its that time again when the African continent is put on the map through the EFC, and what better way to celebrate the brand going WORLDWIDE than by giving the fans 2 title fights and a Heavyweight No.1 contender match. The MainCard fights are in, we are only days away. Carnival City are you ready for some hard hitting action, the scene is set for some massive blows. Wolf Pena: “I’ve been in there many times, you can’t buy title experience.” – 10-0, Will this record be broken as he is set to battle Groenewald, all will be revealed once they lock horns inside the Hexagon. 12 fights all on one night these athletes are ready to set Carnival City alight with blood,sweat and tears…we might even see the Lightweight, Mynhardt vs. Mdoko, or Bantamweight, Pena vs. Groenewald, title change hands, so lets pack the arena and add to the electric atmosphere. With the Elusive Heavyweight No. 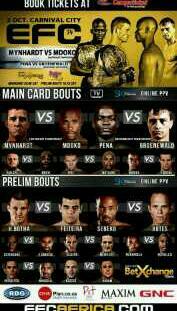 1 contender spot, van Zyl vs. Mbuyi, on the line we might get to see a title fight at EFC35 in Cape Town my home town. The WORLD will be watching lets show them that Africa has the prowess to contend against the best in the business, here comes the Wolf and the Lion of Africa. 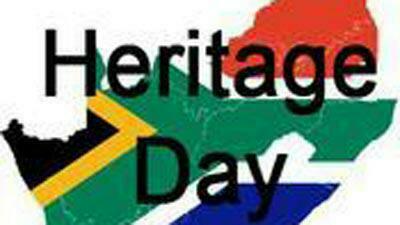 24 September we celebrate Heritage Day in South Africa with so many different cultures, 11 official languages it is important to know where you come from. This is a day of celebration, of people coming together learning, engaging with one another under the banner of the Rainbow Nation that we are. There are still many issues that need to be sorted out, every country has there problems like the recent decline of the Dalai lama’s Visa and the new open Mosque making headlines, shouldn’t we allow everybody to come as they are…but that is a touchy issue which I would not like to go into. 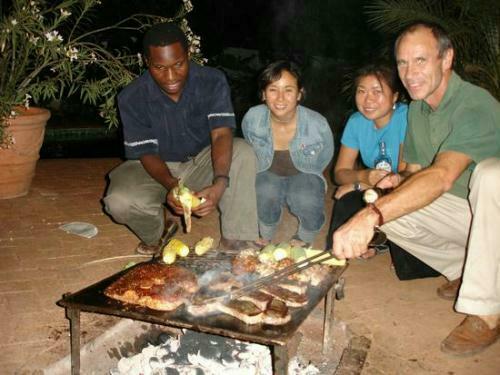 Recently the days name has been changed to National Braai Day because we all know in South Africa it all comes together with a Castle and a ‘Choppie oppie kole’ – the phrase ‘Chop en Dop’ has become synonymous in the SA culture. We have come a long way since those dark days, lets not forget where we came from but lets move forward into a brighter future, light the fire and keep it burning. This entry was posted in Uncategorized on September 24, 2014 by shaunjengel. 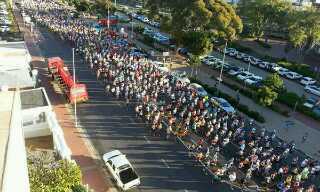 There were many smiling faces today as thousands of runners took to the streets of Cape Town to complete the Sanlam Cape Town Marathon 10km Peace Run. The route was fairly flat and the scenery was amazing on a beautiful spring morning with The Cape Town Stadium and Table Mountain as your backdrop running along the Seapoint Promonade and past the Waterfront. The front runners took this run seriously not a peaceful situation at all I just past about the 4 km mark when I saw the leading lady run past on her way back to the finish point wow talk about speed freaks :-D…and I mean that in a good way. The main attraction was ofcourse the Marathon 42km through Cape Town broadcast live on SABC TV, the airial shots of Cape Town are always stunning, this is why it is on of the top tourist destinations. 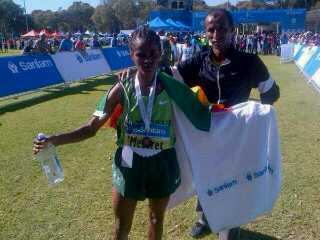 Messeret from Nedbank Sport was the first Lady across the finish line in a time of 2h:31mins. 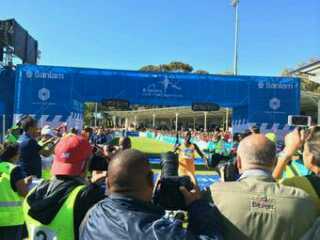 This was a beautiful run and one day it will be in the same league as the Boston and London Marathons when that day comes maybe I’ll be the front runner haha :-D…but with the times these athletes are running wow its scary I won’t be surprised if the City Of Cape Town traffic department hand out speed fines to runners tomorrow. Welldone to everyone who competed and those who came to support thatcis what makes road running special a great event well organised. Cape Town We Love You. This entry was posted in Uncategorized on September 21, 2014 by shaunjengel. 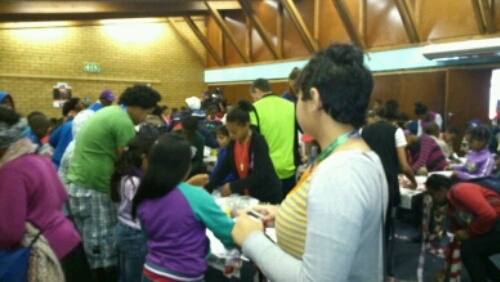 The Kensington/Factreton community were treated to a fun day yesterday in association with the City Of Cape Town and L.I.G.H.T. A full day of activities were on offer to amuse children and adults alike all aimed at showcasing our community in a positive light and giving hope to youngster..encouraging them to Leap Into Greater Heights Today. 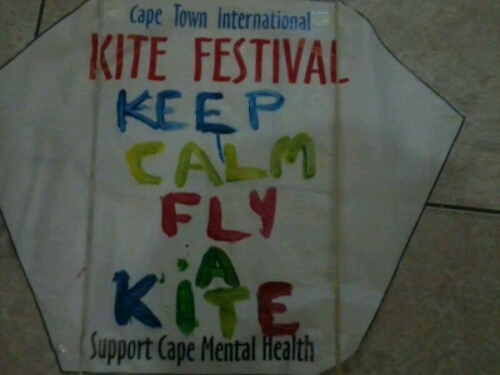 I was privileged enough to participate in the Kite Making workshop presented by the Cape Mental Health and I had so much fun, it was amazing to see the excitement on the childrens faces as they were making there kites and showing off the end product. Before the kick off of the activities in the Main Hall of the Kensington Civic Centre a Human Chain was formed to remind us that together we can achieve greatness, take pride in your community and through this positivity we will shine. Thank to all the sponsors involved in making this day possible I’m sure your efforts were greatly appreciated and that this event only grows from strength to strength. 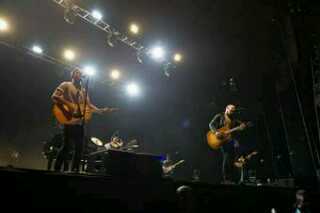 For the first time LIVE in South Africa – The Fray on the Helios Tour, what an amazing performance the energy from the artists and the crowd was awesome they really kept us wanting more. 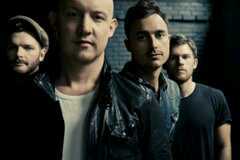 What is a Live concert without an encore with The Fray it is like you can listen to them over and over and they still keep you wanting more. Every artist that plays in South Aftica says that they would like to comeback I think it is because we appreciative and know how to give good energy and in Cape Town our Love Don’t Die. This entry was posted in Uncategorized on September 20, 2014 by shaunjengel.